Britain’s greatest composer since Purcell and America’s greatest composer to date: not a bad line-up for a concert – although, quite reasonably, the birthday boy had the lion’s share of the programme devoted to him. On first sight, it might be a sobering thought to realise that Harrison Birtwistle has reached seventy-five, but given that Elliott Carter’s contribution is a work written during his second century, there is no reason that it should be. At any rate, we were treated to a wide-ranging selection of chamber and vocal works, excellently performed by long-time champions and commissioners, the Nash Ensemble, and three guests: soprano Claire Booth, actress Julia Watson, and conductor Lionel Friend. Five Distances, for flute, oboe, clarinet, bassoon, and horn, made for an invigorating start to the concert. The work was performed, as Birtwistle prefers, with the performers standing. The spatial implications, including the dramatic, of the semi-circle in which the players stand, ‘as far apart as is practically possible,’ were fully realised in the space of the Wigmore Hall. Extremity, proximity, and grouping have often been preoccupations of new music, sometimes harking back to early music, as Birtwistle himself has done from time to time, though certainly not with the slightest intention of neo-something-ism, let alone pastiche. Stravinskian antecedents are also clear, perhaps above all the Symphonies of Wind Instruments, though, by the same token, this does not sound ‘like’ or ‘inspired by’ Stravinsky. 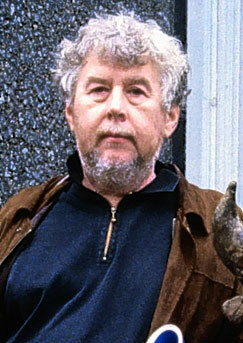 A composer does not stand in tradition, Birtwistle believes, but has tradition within him. Birtwistle’s instrumental palette provides an expressive kaleidoscope, as did the Nash players, who equally ensured that the music sounded lyrical through and through. (I cannot think of a Birtwistle work that is not, though this of course remains dependent upon high standards of performance.) As arresting as anything else in the performance was Richard Hosford’s final clarinet note, fading into nothingness. The new work for oboe quartet – it is not clear whether it is to be called an oboe quartet – is a work-in-progress. Heinz Holliger premiered the first movement and will give the first performance of the completed work. In the meantime, Birtwistle has composed two further movements. That now temporarily placed second will most likely be shifted to become an introductory movement, whilst the finale will remain final when the fourth movement is composed. I was especially taken with the sharp rhythmic, almost Bartókian profile of the outer movements; perhaps chamber strings provide an inevitable reminder of that composer’s quartets here. A highly striking section of the first movement sets stabbing violin and cello pizzicati against sinuous lyricism from violin and oboe, proving contagious to the other instruments. Bartók again comes to mind in some of the solo violin writing: the Rhapsodies for violin and piano in particular. The short movement in between at the moment provides an interlude to explore further implications of some of the material, though it will be interesting to hear how its function is transformed by introductory placing. Moments of melancholy stillness provide winning contrast with sharp rhythms during the finale. Performance was committed throughout. Concluding the first half was one of Birtwistle’s David Harsent settings, The Woman and the Hare: a Nash Ensemble commission. Claire Booth and Julia Watson sang and recited respectively, reproducing for the composer something of the Baroque distinction between aria and recitative. Song is the music of the recitation. More than once, I was put in mind of the sound-world of Gawain and perhaps even the early music-theatre piece, Down by the Greenwood Side. Ultimately apparent is a typically Orphic triumph, that of music. Once again, there could be no gainsaying the commitment of all performers, who imparted a sharp dramatic edge, which in turn provided for necessary reflection. Duets for Storab were initially conceived as teaching pieces for two flutes, though the musical demands – quite different from typical virtuosity, as the composer has remarked – have tended to militate against successful performance from children. The combination of two flutes has something primæval to it; we are, after all, concerned with the most ancient instrument of all. Despite the Hebridean provenance of the title, there remains something inescapably English to Birtwistle’s landscape. There is, moreover, and certainly was in performance, a haunting sense of play from a mythological past. Anti-organic constructivism can be fun. Before concluding with another highly constructivist Birtwistle score, the performers gave the British premiere of Carter’s Poems of Louis Zukofsky, for soprano and clarinet. I dare not comment on the words, given the programme’s stern warning: ‘All Louis Zukofsky material Copyright Paul Zukofsky; the material may not be reproduced, quoted, or used in any manner whatsoever without the explicit and specific permission of the copyright holder. A fee will be charged.’ The poet’s son, Paul, may be an eminent violinist, but he does not come across in this context as a friend of art. Any comments on Carter’s response will therefore have to be non-specific with regard to word setting. Booth clearly relished the contrast with The Woman and the Hare; now she could act truly as a reciter of sung verse. I was very taken with the second song, Alba, a Carter lullaby: sweet indeed. Its successor, Finally a Valentine – I hope I may at least give the title – had for me slight echoes of Webern, albeit utterly transformed into typical late Carter musical language. (The instrumentation is doubtless a contributor towards the Webern connection, if connection there be.) A little later on, The Rains proved coruscatingly brilliant in composition and performance. Daisy evinces the composer’s delight in the sheer sound of words and its implications. The exultance of the final song’s climax belonged to Zukofsky père, Carter, Booth, and Hosford. Some things, let us give thanks, cannot be copyrighted, or indeed reproduced.